SET OF 3 / mix Zodiac notebook, Zodiac sign, Zodiac gift, " Libra zodiac "
IF NOT , WE"LL RANDOMLY SELECT 3 ZODIAC FOR YOU . 1. Jan. " Capricorn "
2. Feb. " Aquarius "
3. Mar. " Pisces "
4. Apr. " Aries "
5. May. " Taurus "
6. Jun. " Gemini "
7. July. " Cancer "
8. Aug. " Leo "
9. Sep. " Virgo "
10. Oct. " Libra "
11. Nov. " Scorpio "
12. Dec. " Sagittarius "
COVER : Soft cover 150 grm. PEPER : Eye care paper 75 g.
within 1-2 days(in stock item) , 3-5 days ( made to order item ) after the payment is received between Mondays to Fridays. It will be packaged safely in bubbled envelope. > > See shipping and policies section for more information. 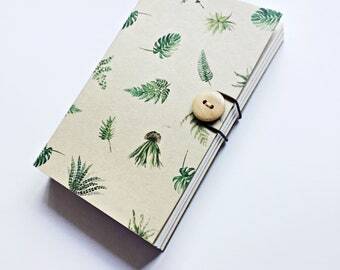 This is handmade notebook . I made it by my self . Waited one month exactly for these to arrive. I clearly stated when I purchased I wanted a Virgo and Aries mix for the notebooks. I was sent Aquarius, Cancer, and Virgo. These were suppose to be vow books now they are just random notebooks. Would not repurchase or recommend. 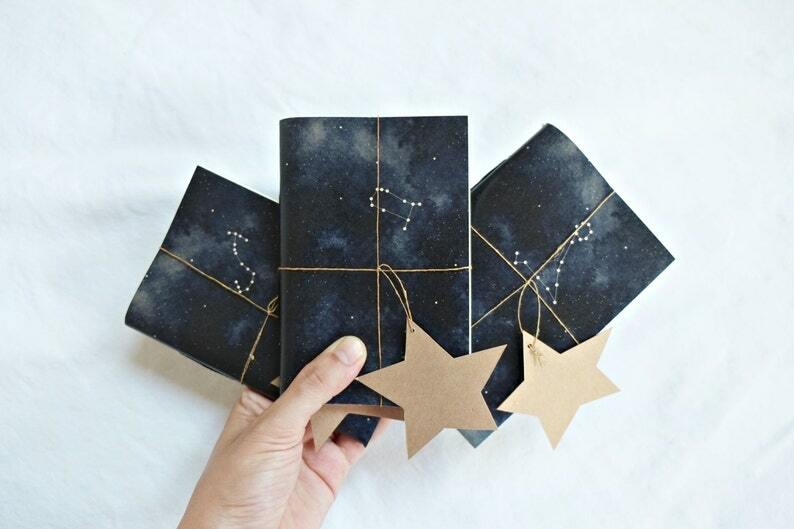 SET OF 3 / Constellation notebook, Star notebook, Indigo Sketchbook, " horoscope notebook "
First I'm so sorry to disappoint you . So I randomly 3 Zodiac for you. I apologize about mistake and hope you understand. If there anythings I can fix , please let me know. Accept the payments Only Paypal (which accepts all major credit cards). You can use your credit/debit card to pay through Paypal without a Paypal account. ➳ You do not need a PayPal Account to pay for your items through PayPal ,all major credit cards are accepted through PayPal. If you do not have Pay pal account, go again with Paypal link and choose credit card payments option. ⋙ Can I pay for my purchase with a credit card if I don't have a PayPal account? • We do responsible for the lost and damage item. • If you are not completely satisfied with your order please contact us upon receiving it and we will refund, exchange or replace your order. We will full-refund your money back via paypal. When you riceive the product please check it first. And if it got any damage, contact us immediately or within 7 days after receiving. We will full-refund or send a new one for you. If you claim us after 7 days of receiving we would consider it's not the problem from us. and we would not take any responds. IMPORTANT !! : There is NO REFUND if you leave us a negative feedback without contacting us first. • Package is considered as lost if it doesn't come within 1 month from posting date and tracking info approves that. • While the claim is being proceed, we would resend the same items to you or refund the full amount of order - you choose the best option for you. • We ship within 1-2 days(in stock item) and 3-5 days(made to order item) after the payment is received between Mondays to Fridays. ****Please leave your telephone / cell phone number in the "note to seller" or "Conversation Message" for shipping service. If you want to receive your items quickly, we recommended shipping via an Express Mail. Please leave your telephone / cell phone number in the "note to seller" for EMS shipping service.